Zante (also known as Zakynthos), named after the son of a legendary Arcadian chief) lies in Greece’s Ionian sea, off the western coast of the Greek mainland. 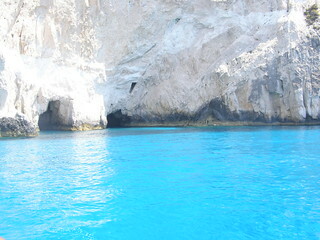 Zante’s history dates to at least 1600BC. In antiquity it was occupied by famous kings like Ulysses and provided precious tar for the protection of the wooden trieme ships of Athens. Venetians, French, Russians, Turks and even the British occupied the island at different times before it reverted back to Greece. All have left their respective mark, making Zante both richly historic and cosmopolitan. Famous Zakynthians include the poet Dionysios Solomos, composer of Greece’s national anthem, the explorer Juan de Fuca and the Italian poet Ugo Foscolo. The island’s varied and verdant terrain makes it a hit with all types of visitor. There are rich fertile plains in the southeast and steep cliffs along the rugged west coast. Accessible beaches can be found in Porto Vromi, Porto Zoro and Porto Limnionas, with a beautiful 100m stretch near Keri. There are many friendly hotels and pensions spread throughout the island, which is very popular with families. The sheltered Laganas Bay, in the south of the island, has a 9km beach. The most developed resort here is Laganas, although the smaller Kalamaki is also popular. The second largest resort on this island is Tsilivi, on the north east coast. 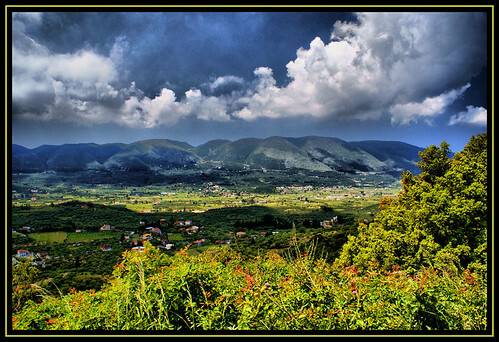 In the last 20 or so years ecotourism (agrotourism) has been a major focus on Zante and the results are impressive – environmentally friendly and peaceful natural surroundings for all visitors. Heather has written about Zante’s loggerhead turtle’s (Caretta caretta) breeding beaches, the most notable one is at Kalamaki. Worthy of visiting are the Byzantine, Milano Maritime and Solomos/Kalvos museums in Zakynthos town. Other notable places include uninhabited Marathonisi island in Laganas Bay, Cape Skinari, the Blue Caves and Shipwreck Bay by a beautiful old monastery. The observation point at Anafontria overlooks the shipwreck. Olives, citrus fruit, currants and grapes grow in abundance on the island and traditional dishes usually contain virgin olive oil, lemon, fresh garlic, tomatoes and aromatic herbs. Sample them with a starter of fish, mezes and some home-made wine at one of the many seaside restaurants. For day trips from Zante, hop on the ferry connecting to the port of Kyllini on the Greek mainland. Alternatively, visit Argostoli on the island of Kefalonia, from the village port of Skinari.